As part of our remote access support, we support all current mobile devices and platforms. Check the device status, install apps, and push/pull the proper settings. Remotely control Universal Windows Platform and Android devices (even unattended). 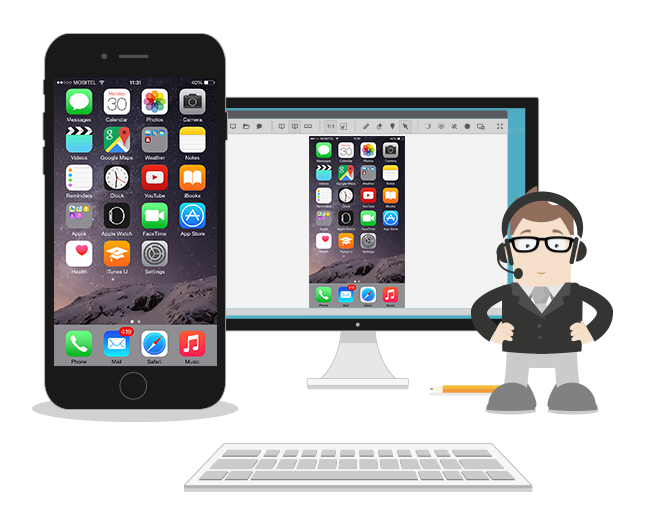 Support iOS devices via screen sharing, push/pull settings, file sharing, and an SDK for specific apps.